Beautiful condo with 2 pools, 2 hot tubs & tiki bar! CHECK OUT YOUR VIEW! "Lin's Landing" is perfectly located within Bonita Village to see all the activities taking place at the Resort Pool, The Groggy Frog, and the Island House. From your lanai you can hear the gentle sound of cascading water from the waterfall while enjoying the morning shade or afternoon sun. You will appreciate the casual upscale living combined with this unique vacation atmosphere. The best part is... Bonita Village is close to everything! You can have your feet in the warm sands of Bonita Beach in as little as 180 seconds, or be shopping at Coconut Point Mall, South Florida's largest new mall, in 10 minutes. Upon your arrival the Beach Entry Resort Pool and Waterfall will be all yours. A center Island graces the magnificent Resort Pool. Next to this big pool is our Chickee, dubbed The Groggy Frog! With 2 TV's, casual food and beverage service offered in season and most weekends. You will find yourself a frequent visitor, and a great place to meet the residents and make new friends. Also, for your enjoyment are two large Spas, and the exciting Island Clubhouse with a marvelous Cybex Gym, Billiards/ Game room, Media and Social Rooms. This residence has been professionally decorated with a Tropical Flair to complement the community's atmosphere. The main living areas and lanai feature porcelain tile floors, granite kitchen counters, and crown molded volume ceilings. The split bedroom plan offers a central living room that is light and bright and features a BIG SCREEN TV and DVD. The Master Bath hosts a spacious shower and dual vanities plus two walk-in closets! Flat Screen TV's with DVD's serve the master and guest bedrooms. A King bed is featured in the Master Suite with Twin beds in the Guest Suite. For your computer needs, high-speed wireless Wi-Fi Internet is offered in the Island House. There is something for everyone at Bonita Village; whether working out at the Fitness Center, playing Billiards, making friends around the Pools, or even riding the Free Private Beach Shuttle to shell-ladened Bonita Beach! Out the front door of your building is the "Quiet Pool", an easy get away from the activity and a good place to immerse yourself in that new novel. For a delightful evening out sample one of the 20 plus specialty restaurants close by. If you enjoy the arts, you may prefer an evening at the Philharmonic. You can step it up a notch by visiting bustling Fifth Avenue in downtown Naples. A host of outdoor sports and activities are only a stone's throw away. Quick and convenient access to Bonita Village is available from the Regional Southwest Airport (RSW) which is only 25 minutes away. We have been coming to the Bonita Beach area for years with our family. We work up north and cherish every minute we can spend in Florida. We love the central location and there is so much to do with 5 beaches close by, boating, fishing, shopping and dining which is improtant to us. Don't let life pass you by without experiencing Bonita Beach and Bonita Village! We were very familiar with the area and wanted a central location close to the beach. 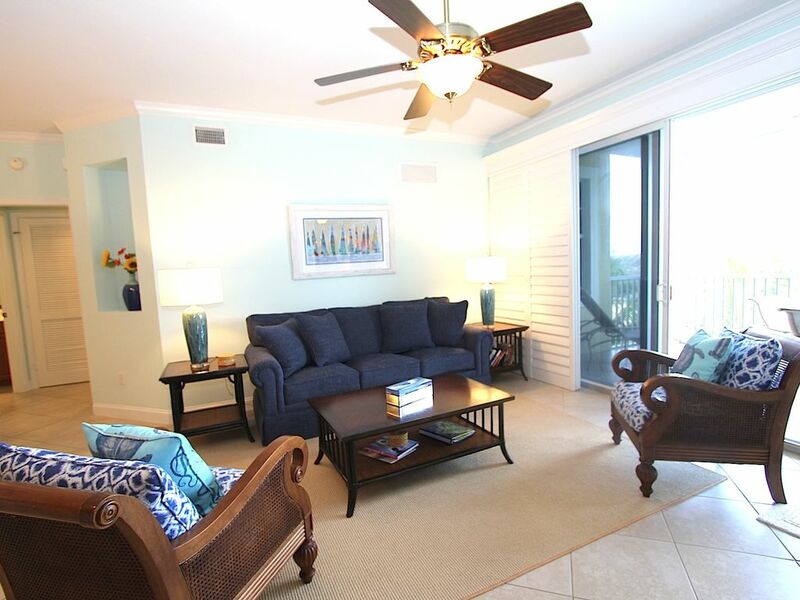 Bonita Village is perfect for us because it has fabulous amenities and a free beach shuttle. We feel so blessed to be able to share our home with other friends and family. In season, we can be at the beach in 3 minutes! There are so many things to do we wish we could be there all the time! A Gazebo in Florida is sometimes called a Chickee. Our Chickee is known as The Groggy Frog and has 2 TV's. It is larger than most and serves casual food and cold drinks in season. Our Free Beach Shuttle operates daily. The Island House has a Media Room with a 5' TV, Billiards Room, Card Room, Social Room with a serving kitchen. Next to the Island House is the Conversational Outdoor Fire Pit.. Upon your arrival to the SW Florida airport in Fort Myers, you will be leaving the airport on terminal Access Drive. Follow the signs to I-75 South toward Naples, continue to the Bonita Beach Road exit (#116) Turn right onto Bonita Beach road, continue on this road past US 41. About a ? mile past US 41 Rhodes Restaurant will be on your right hand side, Bonita Village is just past Rhodes. Our office is located in the Island House. Our address is 27901 Bonita Village Blvd. Bonita Springs, FL 34134.